Quest Thermal Group is a technology and product development engineering firm, specializing in the design and development of advanced thermal insulation systems. Quest Thermal focuses on developing and bringing to market advanced, next generation, structural thermal insulation solutions for aerospace and commercial applications. Our solutions achieve lower mass and enhanced thermal performance with discrete patented spacer technology. We are creative, inventive, capable engineers and scientists, with extensive thermal insulation expertise, R&D experience, and a product-centric vision. Quest Thermal has developed multiple advanced insulation systems, for aerospace and commercial applications. These customizable engineering solutions can be used for insulating spacecraft, launch vehicles, high turndown variable radiators, vapor cooling, ISRU liquefaction storage tanks, dewars, LNG carriers and tanks, and appliances such as refrigerators.Quest's high performance Integrated Multi-Layer Insulation (IMLI) is in space insulating the flight dewar for NASA's Robotic Refueling Mission 3 on the ISS, and is at TRL9. IMLI will fly on the NASA/Ball Aerospace Green Propellant Infusion Mission on the June 2019 Flacon 9 Heavy flight, and IMLI is in early design for the NASA Lucy spacecraft to Jupiter's Trojan asteroids. 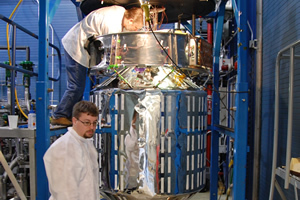 Quest Load Bearing MLI supported a Broad Area Cooled shield in the NASA Reduced Boiloff 2 experiment, and led to a successful test program aimed at achieving Zero Boil Off of cryogenic propellants. 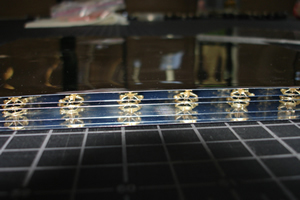 Quest has recently completed development of Vapor Cooled Structure MLI that substantially reduces heat load into launch vehicle cryopropellant tanks. 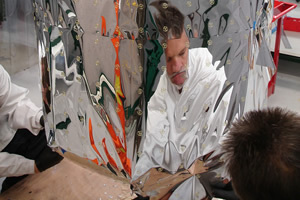 Quest is currently developing with NASA a very lightweight, high performance Multi-Environment MLI for ISRU surface liquefaction and storage during in-space and on Mars surface operation. Quest Thermal has successfully developed new technology for NASA in 25 joint R&D programs, helping meet critical technology needs for future space exploration missions. Quest Thermal is also developing a commercial superinsulation for applications such as refrigerators. Quest Thermal's UltraTherm insulation (with R-235, 0.00061 W/m-K performance) can replace foam insulation (with R-6), and offers reduced thickness for 40% more interior space and 80% lower energy use. Quest is currently in discussions with appliance manufacturers. Quest Thermal Group has expertise in developing thermal insulation systems for specific client needs. Contact us for a discussion on how Quest technology might benefit your application.